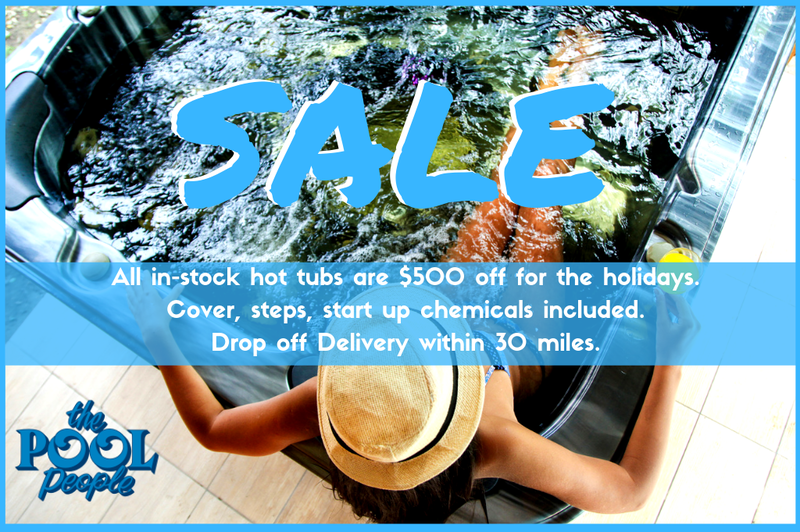 All in-stock hot tubs are $500 off for the holidays. Cover, steps, start up chemicals included. Drop off Delivery within 30 miles.